The outstanding news came this April for Hawaii VA Loans team members Jim Owens and Brenda Carr, who were awarded Honolulu Magazine’s 2014 Top Mortgage Professionals in Hawaii! According to the publication’s description of their annual “Best in Real Estate” list, both customers and colleagues were surveyed in order to determine the top 6% of licensed professionals. Congratulations to Brenda and Jim for being among Hawaii’s highest ranked mortgage pros! This is not the first year that a Hawaii VA Loans team member has been awarded as one of Honolulu Magazine’s Top Mortgage Professionals. President Gabe Amey received the distinction in 2013! 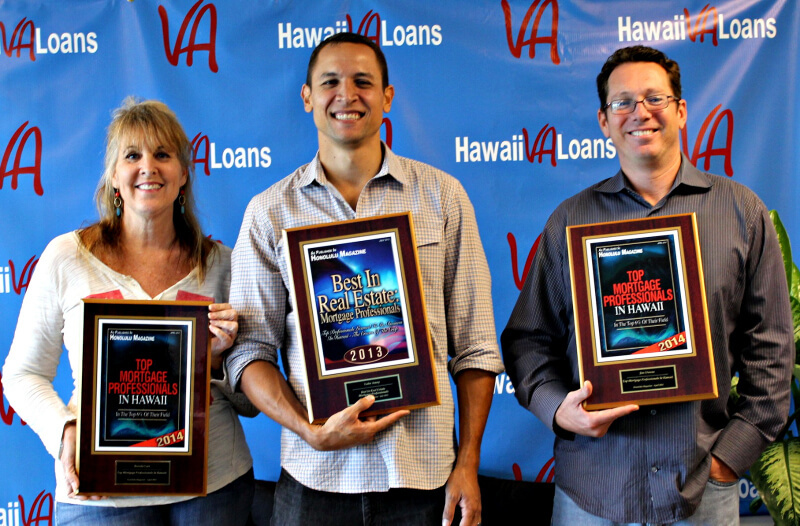 At Hawaii VA Loans we are honored to represent the best of the best in Hawaii, and we look forward to continuing to demonstrate our passion for helping veterans become homeowners.